Our mission is to provide state-of-the-art endodontic treatment in a relaxed environment. 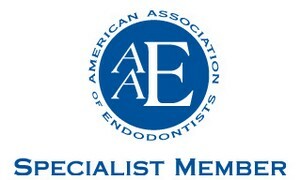 We are dedicated to providing endodontic care at a superior level. Our "make no compromises" philosophy places our practice in the top tier of endodontic practices nationwide. Each case presents a unique challenge, and each patient can leave our office with the knowledge that he or she has received the best care available in the most compassionate and welcoming environment possible. Carlon Endodontics is proud to serve Southwest Georgia, providing excellent endodontic treatment to those in and around Albany, Georgia. Always guided by superior results, our goal is to have a patient centered practice. We provide state of the art root canal therapy, including the latest advances in imaging and surgical techniques, while maintaining hometown hospitality. Both of these tenants go hand-in-hand and form the cornerstone of our practice beliefs. While delivering the highest quality of care, our committment to our patients will never waver. Dr. Carlon Sr., Dr. Carlon Jr., and our four surgical assistants, Kim, Kristie, Tonya, and Roxanne, all share these ideals and are trained and certified to deliver this highly specialized care. At Carlon Endodontics, you come to us as patients and leave as friends.